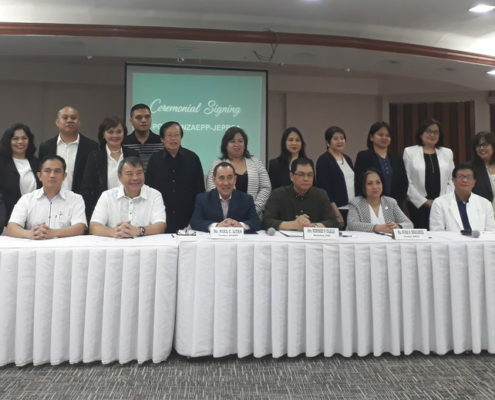 Rensol Recruitment joins other private licensed recruitment agencies and the Philippine Overseas Employment Administration (POEA) in the signing of the Memorandum of Understanding (MOU) to intensify the Anti-illegal Recruitment Campaign. The MOU signed last Friday, June 22, 2018, at the POEA Auditorium aims to strengthen initiatives in the national campaign against illegal recruitment: to establish cooperation in raising awareness to the public on how to avoid becoming a victim, to attain administrative assistance, and to signify a pledge of support to not engage in any forms of illegal activities. 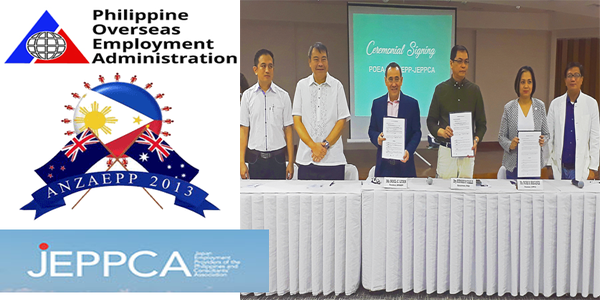 Initiatives of the government are not enough but with the help from the private sector, especially from legitimate recruitment agencies from the ranks of the Japan Employment Providers of the Philippines and Consultants’ Association (JEPPCA) and the Australia and New Zealand Association of Employment Providers of the Philippines, Inc (ANZAEPP), the campaign is closer to achievable. 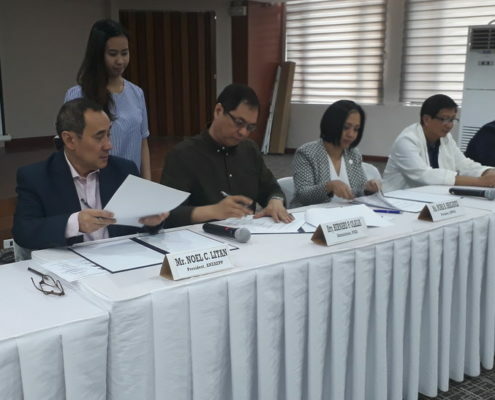 Mr. Bernard P. Olalia, administrator of the POEA, signed the MOU together with the Mr. Noel Litan, President of ANZAEPP and Ms. Nora Braganza, President of JEPPCA. JEPPCA and ANZAEPP are two premier organizations of recruitment agencies formed to be a conduit of the government in upholding integrity within respective job markets by promoting policies to safeguard the interests of all industry stakeholders. The Anti-Illegal Recruitment campaign has been a decade-long battle to combat manoeuvres that severely harm thousands of workers and their foreign employers. The formation of JEPPCA and ANZAEPP is anchored to the participation of private recruitment agencies in policing their ranks against these illegal activities. These organizations have forwarded their initiatives to promote education of their members and their job applicants. The “Basic, Must Know, Winnable (BMW)” learning program, their flagship project, has been instrumental in upholding recruitment ethics within their member agencies. Member Agencies of ANZAEPP and JEPPCA with the POEA Governing Board. “This is a solid testament that a government-private partnership is possible. The government cannot do it alone,” Mr. Bernard P. Olalia, the administrator of the POEA, said. He commends recruitment agencies which take the first step to be a partner of the government to campaign against illegal recruitment. Administrator Olalia added that this program is not just a collaboration and a fellowship but a “corporate social responsibility” to promote efficiency in the deployment of workers. Their collation with the government has essentially improved the capacity of the country for migration of jobs. 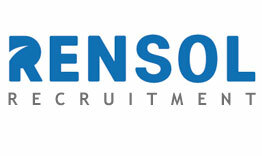 Championing the anti-illegal recruitment campaign equates to protection. Rensol’s involvement in these groups significantly upgraded its protection mechanism for all its workers and foreign clients. This move ought to empower workers for a successful overseas employment experience. “A protected OFW is a protected agency,” said Estrelita Hizon, a member of the POEA governing board.